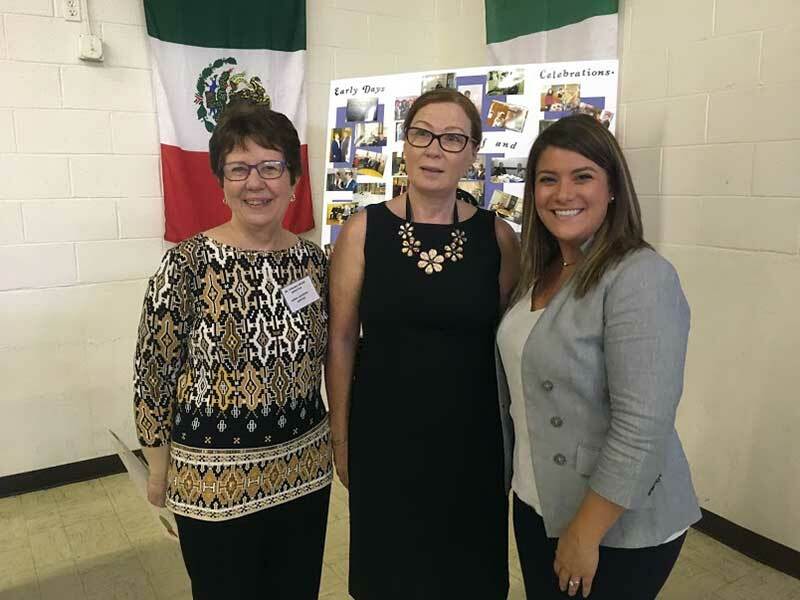 Siena Learning Center Director Virginia Bruen (left) with Marzena Chabowska, a learner at Siena Learning Center and New Britain Mayor Erin Stewart at the Siena Learning Center’s Tenth Anniversary Celebration on September 29, 2018. New Britain, CT – Since the late nineteenth century, Polish immigrants have been settling in New Britain, CT, to find work in its many manufacturing facilities. By the 1930’s, one quarter of the city’s population was of Polish descent. Today, nearly 20% of the population of New Britain is foreign-born, and more than 40% are Polish. And while New Britain’s Little Poland neighborhood offers a welcoming place to enjoy their culture, these new residents still need a place to learn a new culture and a new language. Since 2008, the Siena Learning Center, run by the Dominican Sisters of Peace, has been that place for immigrants of all nationalities. The Siena Learning Center marked its tenth anniversary on September 2018. The Center was also honored with a Proclamation from the Mayor of New Britain, Erin Stewart, who attended the Anniversary celebration. Dominican Sisters of Peace Virginia Bruen, OP, Director, and Cornelia Coughlin, OP, Assistant Director, welcomed Congregational members, members of the Center’s Board of Directors, volunteer tutors, and most important, adult learners and their families to celebrate 10 years of service to New Britain and its residents. The Siena Learning Center serves more than 150 learners a year with English as a Second Language (ESL) training. The Siena Learning Center’s anniversary celebration was featured in the New Britain Herald as well. To read the article, please click here.